The Sony a7 III, announced Monday, is now available for preorder. TOKYO, February 28, 2018—Canon Inc. announced today that the company will begin accepting entries for its New Cosmos of Photography 2018 (41st edition) photo competition on April 18. To promote the competition as a global photo contest, experts from outside Japan have also once again been invited to judge this year's competition. Entries for New Cosmos of Photography 2018 will be accepted between April 18 and June 6, 2018, while the Excellence Award Selection Committee is to meet in July to choose seven Excellence Award winners and fourteen Honorable Mention Award winners. Later, in November, the Grand Prize selection committee is scheduled to meet to select one Grand Prize winner from among the seven Excellence Award-winning entries. The Grand Prize winner of this year's competition will receive not only JPY 1 million in prize money and a Canon product, but as an added bonus will be granted the right to hold a solo exhibit at the exhibition of winning entries for next year's New Cosmos of Photography. Additionally, to encourage the continued pursuit of their creative activities, 2018 Excellence Award and Honorable Mention Award winners will each receive prize money and the right to display their works at this year's exhibition of winning entries. The New Cosmos of Photography is Canon's cultural support project to discover, nurture, and support new photographers who pursue new possibilities in creative photographic expression. Launched in 1991, this year marks the 28th iteration of the annual contest, which, since its 25th iteration in 2015, has expanded to accept digital submissions (stills and video). What's more, promoting the competition as a global photo contest that elevates photographers and videographers playing an active role in the current art scene, this year's seven judges will include the Artistic Director of the Dutch photo and video exhibition Unseen, Emilia van Lynden, and San Francisco Museum of Modern Art (SFMoMA) Curator Emerita of Photography Sandra Philips. The New Cosmos of Photography encourages the creation of original works that push the boundaries of photography's potential and systematically assists and nurtures award winners through exhibitions and published collections of their winning works as well as through publicity on the New Cosmos of Photography website. To date, the New Cosmos of Photography contest has accepted 27,406 entries from both individuals and groups, and has turned out a great number of outstanding photographers who are enjoying widespread success around the world. As a result, the contest has come to be regarded today as a gateway to success for new photographers. For additional information about this year's New Cosmos of Photography competition, visit the New Cosmos of Photography homepage. Use these tips to to quickly straighten or rotate images in Photoshop. B&H carries Adobe Photography Plan subscriptions. Just posted: Canon TS-E 90mm f/2.8L Tilt-Shift Macro Lens Review. This lens is ready for the next generation of imaging sensors. This lens has been hard to find. It is currently in stock at Amazon, Beach Camera (Canon authorized), eBay and WEX. 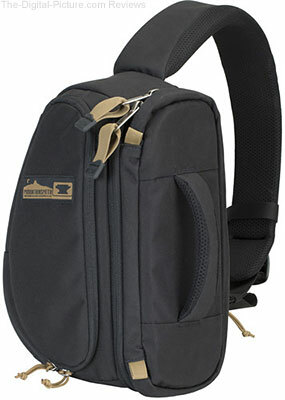 It is expected soon at B&H and Adorama. Wacom Cintiq Pro Engine is a compact PC module that converts the Cintiq Pro into a powerful creative studio. Artists, Designers and Engineers can transform their Cintiq Pro into a powerful Windows 10 workstation with the power to run the demanding creative applications and workflows, including 3D, animation and virtual reality. Tokyo, Japan – Feb. 27, 2018 – Today Wacom announced the Wacom Cintiq Pro Engine, a creative PC module available in two configurations that fully integrates into the Cintiq Pro 24-inch pen display (announced today in a separate release). Designed for professional illustrators, designers, engineers and motion graphics users who require professional computing power and graphics performance, the modular Cintiq Pro Engine slots into the back of the Cintiq Pro 24, eliminating the space, cable clutter and compatibility issues that often result from using external computers and laptops. “It is our mission to help professionals create with the least amount of distraction and clutter and to give them the power to tackle the new spaces of creating content for AR, VR and MR. 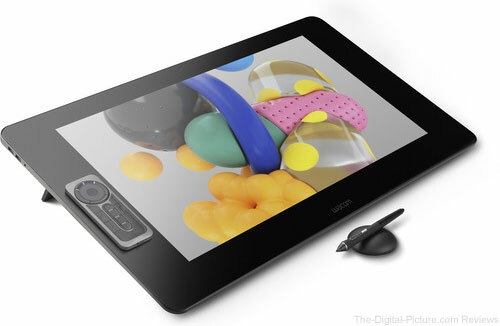 The Wacom Cintiq Pro Engine provides a beautiful, easy to use solution for creatives everywhere,” said Faik Karaoglu, Executive Vice President of the Creative Business Unit at Wacom. Attaching the Cintiq Pro Engine to the Cintiq Pro 24 tranforms the Cintiq Pro 24 into a full Windows 10 creative studio that supports even the most demanding programs and applications used by creative professionals. The combination of the Wacom Cintiq Pro display, the powerful Wacom Cintiq Pro Engine creative PC module, and a flexible and rotatable new Wacom Ergo Stand is an innovative approach to providing an all-in-one specialized working environment for creatives. Adding the use of the Wacom Pro Pen 3D, professionals who rely on 3D animation or sculpting software, or CAD applications, will see an immediate benefit to their workflow. In addition to the benefits around creative applications and workflows, Cintiq Pro Engine supports the increasingly important virtual reality (VR) workflow. Most Wacom products are already capable of supporting VR content creation, but to review and check the VR content, customers frequently need to move the content to another PC that has the graphics power to run VR content. 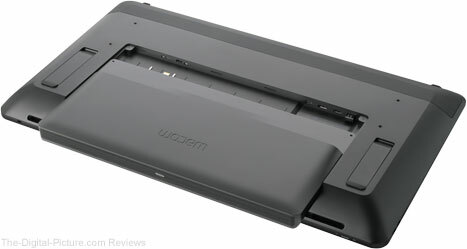 The Wacom Cintiq Pro Engine memory and SSD are exchangeable and upgradable, ensuring system flexibility. Given the plug and play nature of the hardware, it’s easy to move between Cintiq 32” and 24” displays while retaining the same computing environment with the Cintiq Pro Engine. This flexibility is found nowhere else in the market and leads to a lower total cost of ownership (TCO) than any other solution. There are two versions of Cintiq Pro Engine, available as of May 2018 in Japan, US and selected countries in Europe. Wacom extends the Cintiq Pro line-up with a new high performance mid-sized display built for cutting-edge creative and design applications including augmented and virtual reality. The Cintiq Pro family now features a range of sizes to meet the unique workflow and configuration needs of creative professionals. Tokyo, Japan – February 27, 2018 – Today Wacom announced the availability of the Wacom Cintiq Pro 24 pen display, expanding the Cintiq Pro high-definition range, which is designed for creative professionals seeking a larger digital canvas and the power to tackle an increasing onslaught of creative applications and programs. The new 24-inch Cintiq Pro pen display joins the previously introduced 13 and 16-inch models to form a comprehensive range of sizes for every need and workspace. The pen and touch display version will be available in May, the earlier announced 32-inch model is slated for later this year. The brilliant 4k display, 98% Adobe RGB color accuracy and a billion colors deliver a true-to-life visual experience. The pen on screen experience was also improved. The combination of the new Pro Pen 2 technology (improved pressure sensitivity featuring 8,192 levels), the etched glass surface, the reduction in parallax through optical bonding and the close to zero latency, provide artists with precise control and a more natural feeling pen on screen experience. With the Wacom Cintiq Engine Pro – also announced today – a Windows 10 computing module, featuring the new NVIDIA Quadro P3200 high performance graphic card, slides into the back of the Cintiq Pro 24 display. Thus creative professionals can easily transform their Cintiq Pro 24 into a high performance creative work station fully supporting state of the art applications and workflows, including 3D, animation and augmented and virtual reality. The Cintiq Pro 24 pen display models are available in the U.S., Japan and selected European countries as of March; for further details visit our e-store at Wacom.com. Prices ranging from $1,999 to $2,499. The Pen & Touch version of Cintiq Pro 24 will be available in May 2018. B&H has the Wacom Cintiq Pro 24" Pen Display models available for preorder. FEBRUARY 28, 2018 - Kenko Tokina Co., Ltd. is proud to announce the new Tokina opera 50mm F1.4 FF , a premium Full Frame lens for high-end DSLR cameras. With the debut of opera 50mm F1.4 FF we are launching a new series of next generation premium full-frame lenses for high-end DSLR cameras called "opera" series. Opera series is designed to perfectly match recent high-spec full-frame DSLR cameras, which keep requiring high quality optics to be used with. In addition to originally high-valued Tokina AT-X series, this new opera series is positioned as top premium series of full-frame size lenses and will be further expanded with other lenses of related specifications and performance. In modern society the word “opera” is commonly used to express general genres of stage art. In Italian it means work or work of art. As an omitted art genre definition opera comes from "opera musicale" that means a piece of music work. In Latin opera comes from "opus” and in contemporary language "magnum opus", "opera magna” still has a meaning of "great literary, artistic or intellectual work". We chose the name "opera" for a new premium full-frame DSLR lens series thinking of a lens that will help photographer in creating real "work of art". The debuting premium full-frame lens for high-end DSLR cameras in opera series is 50mm F1.4 FF (FF - Full-Frame). Designed for full-frame format DSLR cameras, opera 50mm F1.4 FF adopts a ring-shaped ultrasonic motor for autofocus drive module. Weather sealing prevents from dust and moisture to come inside the lens body. For the first time in Tokina line up Nikon mount model incorporates an electric diaphragm mechanism. The direction of the focus ring rotation fits the genuine Nikon and Canon lens. B&H will carry the Tokina opera 50mm f/1.4 FF Lens. Golden, CO (Feb 26, 2018) - Mountainsmith—craftsmen of iconic backcountry equipment and recreational outdoor gear—have launched their latest series of adventure photography packs, which were designed in collaboration with world-renowned adventure photographers Andy Mann and Keith Ladzinski. The new camera pack line is composed of 6 separate products designed to protect and organize your camera equipment in the most extreme conditions. Photographers Andy Mann and Keith Ladzinski have developed a close relationship with Mountainsmith over the years, testing products and offering key input that has fueled the design process for multiple projects. 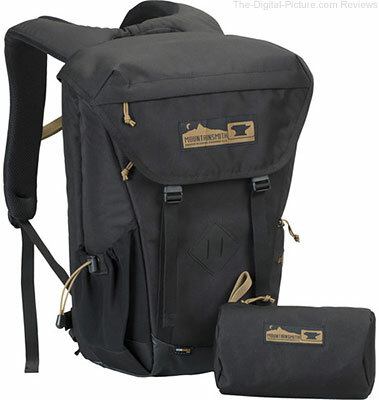 Built for rugged outdoor photo adventures, the Borealis combines the protection and organization of a camera bag with the comfort and efficiency of a technical backpack. On the trails, slopes, and far off lands, it offers the best of both worlds for any camera intensive pursuit. 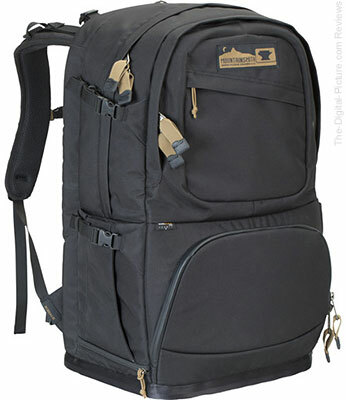 Designed for urban and travel adventures, the Spectrum easily accommodates your photo necessities, laptop, media devices, and personal gear for more efficient and more organized carry on your next photo endeavor. From climbs to day hikes to on-the-go adventures, the Descent is ideal for quick access. 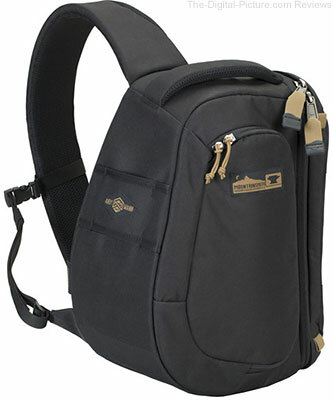 With shoulder sling carry, this camera pack keeps your DSLR poised to capture the shot and then quickly swings out of the way as you hustle on. Building off of the Descent, the Descent Small offers an even lighter, more condensed solution for quick camera adventures in the field. 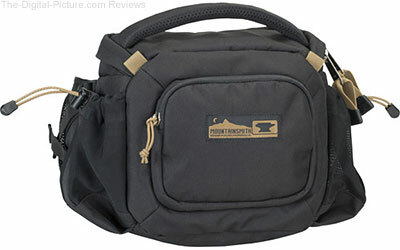 The shoulder sling carry keeps your DSLR ready for action and easily swings out of the way for outdoor pursuits where efficiency is paramount. The Swift FX blends the functionality and ergonomic carry of our lumbar styles with the proven protection of a camera pack. Ideal for the trail or travel adventures; the Swift FX is a unique camera carry solution for photographers of every level. 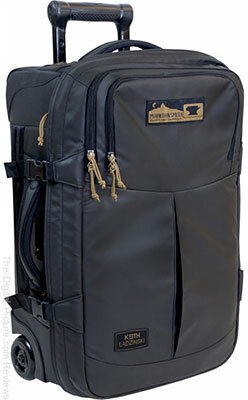 Mountainsmith Boarding Pass | MSRP: $279.95 This FAA carry-on sized roller comes equipped with dual TSA locks and a removable, padded, interior daypack to organize camera gear for on-the-go versatility. These products will be on display at Outdoor Retailer Winter Market, January 25th-28th. If you will be at the show, feel free to stop by Mountainsmith’s booth (# 44080-UL) and check them out. There's no mistaking that Sony has made significant gains in the interchangeable lens camera market over the last few years. And as they continue to innovate and fill out their lens lineup, they further bolster themselves as a brand worth serious consideration from a consumer's perspective. Unfortunately, Canon doesn't really have an answer for any of these the technologies listed above. But the way I see it, that's the least of their problems. The number of people switching from Canon to Sony to gain one (or more) of Sony's unique features (as far as Canon photographers are concerned) is still relatively small. However, to get a better idea of where the market is heading, you can't focus on the high-end market. If you want to predict where the camera brands' market share will be in the future, you've got to train your eye on entry-level camera sales. And that's why Canon should be concerned. For years, Canon's Rebel-series cameras have been the best-selling APS-C digital cameras on the market. Canon's current market share dominance can trace its roots back to the success of the original EOS Rebel, the first DSLR with a sub-$1,000.00 price tag, announced in 2003. Since then, Canon has introduced 17 Rebel-series cameras with each building on the success of the previous generation with a winning formula – an easy to use camera with sufficient features and a low cost, with minor updates regularly released. The recently announced EOS Rebel T7 is the epitome of this market strategy, with a new sensor being [practically] the only change from its predecessor. Once a person buys a Rebel-series camera and develops as a photographer, stepping up to a slightly-higher-up model makes perfect sense as you get more/better features and the lens (or lenses) you already own will [likely] work with your next body (although EF-S lenses don't work on full-frame bodies). Switching camera brands is a pain. Besides having to learn an entirely new system, with different controls/features/terminology, the sheer cost of changing out your entire set of lenses will be enough to keep many once-Rebel owners in the Canon camp. One advantage Sony has that makes switching a litte easier is the ability to use Canon lenses on their bodies with the use of adapters, but using adapters is less than ideal. Plus, there are so many adapters – each with their own specific benefits, drawbacks, limitations and compatibility considerations – that the average consumer may feel overwhelmed with the prospect of figuring it all out. "Is changing brands to get [a Sony feature] really worth it?" Canon knows that changing brands involves a monumental decision. It's not like an incremental decision to buy the next-level-up DSLR; it's much more of a commitment. With so many past EOS Rebel-series camera owners now owning higher-end cameras with kits containing multiple EF (and EF-S) lenses, Canon isn't likely worried about the number of photographers jumping ship. As I've explained, Canon's dominance in the camera market is tied directly to its affordable APS-C sensor cameras, primarily the Rebel-series. But as much as Sony has made inroads in the full frame camera market with enticing technologies, I'd argue that the popularity of Sony's APS-C a-series cameras is a bigger indication of their market share growth potential. Unfortunately, I don't have hard sales numbers to bear out my theory. However, what I do have is circumstantial evidence in the form of the number or reviews left for specific products at authorized retailers. I'm thinking that the ratio of customers who purchase a specific product to those who leave a review for the product they purchased is likely similar across brands. With that in mind, let's take a look at some numbers which represent a current snapshot. For example, let's compare the Canon EOS Rebel T5i (announced Mar. 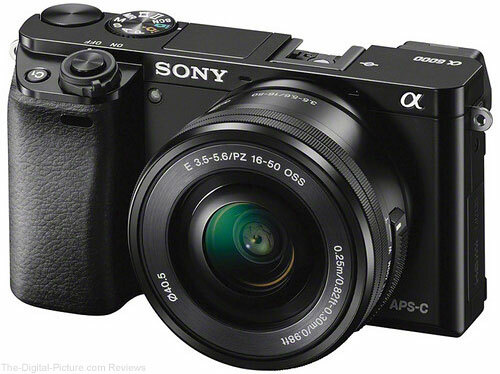 2013) to the Sony a6000 (announced Feb. 2014). And yes, I realize that these numbers may not represent the whole picture, especially as the Canon EOS Rebel SL2 was announced alongside the Rebel T5i and likely stole a fair amount of sales from the top-of-the-line Rebel camera at the time. Also, both the Rebel T5i and the a6000 have been sold in various "kits" that include additional lenses and/or various accessories, and those reviews/sales remain unaccounted for. However, I still think the numbers may indicate a solid trend, especially considering that the Rebel T5i and Sony a6000 were designed for and marketed to a similar customer base. I compared a few of Sony's a-series APS-C cameras to Rebel-series cameras from the same approximate generation, and the review ratio shown above remained relatively constant. But with the Rebel line as fragmented as it is now, the overall big picture gets a bit harder to discern. Keep in mind, the Canon Rebel T5i should have the upper hand in this comparison because a) it's been on the market for a little longer and b) it was offered in two kits with separate lenses and c) it had a long history of successful cameras behing it. However, the Sony APS-C camera has significantly more reviews – and by extension, likely more sales – than its closest Rebel-series competitor. If I were Canon, I'd be worried about these numbers, as they may provide compelling evidence that Sony's growth in the marketplace may accelerate in the not-so-distant future. 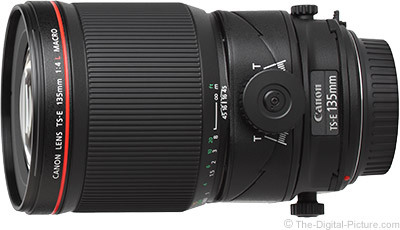 Image quality results have been added to the Canon TS-E 135mm f/4L Tilt-Shift Macro Lens page. 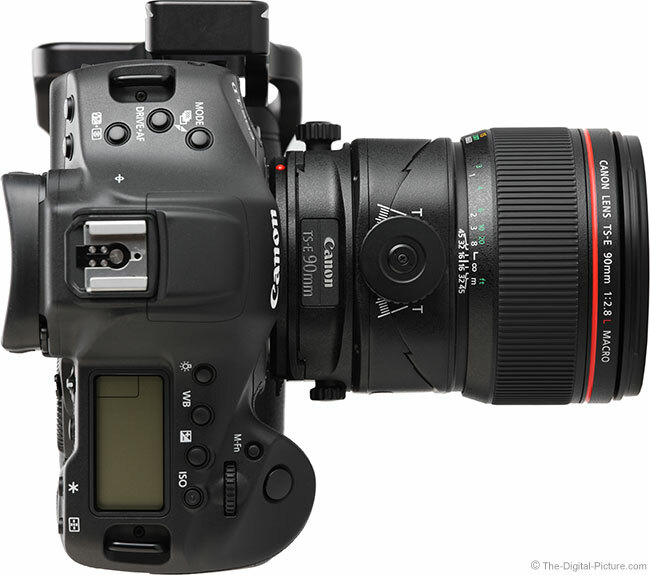 Like the Canon TS-E 90mm f/2.8L, the TS-E 135mm f/4L delivers really impressive image quality. Note that results with extenders are included, showing that this lens can also be used with those. The with-extender results are nice, indicating that extenders add significantly to the versatility of this lens. Also note that shifted results are included. To accommodate the tilt and shift movements, the lens must produce an image circle larger than the designed-for sensor format requires. As the lens is shifted (and/or tilted), the periphery of this larger image circle comes into use. Thus, the shifted results have meaning and, in this case, the shifted-"12mm" results show a very slight degradation in the corner. To see the level of image quality being produced here, check out a comparison against one of the sharpest lenses available: Canon TS-E 135mm f/4L vs EF 300mm f/2.8L IS II Lens. Create your own comparisons. The Canon TS-E 135mm f/4L Tilt-Shift Macro Lens is in stock at Adorama and Amazon and available for order at B&H. Update: There were more firmware updates than we originally realized. This post has been updated to reflect additional firmware updates for the D810, D810A, D7100 & D7200. If the standby timer expires after focusing, the focus position will no longer change when the timer is reactivated. When focus is adjusted by rotating the lens focus ring, the focus indicator in the viewfinder (and in live view, the focus point in the monitor) now flash to indicate when infinity or the minimum focus distance is reached. When photos were taken using Camera Control Pro 2 after Custom Setting d10 (Exposure delay mode) was enabled in the CUSTOM SETTING MENU, the software would sometimes mistakenly display a message stating that no photo could be taken. Microphone sensitivity would sometimes not be correctly adjusted when movies were recorded with Auto sensitivity selected for Microphone sensitivity. The camera would sometimes stop responding during multiple exposure shooting. Since 2013, The SIGMA Corporation has been offering a “Mount Conversion Service” for SIGMA’s Global Vision (Contemporary, Art and Sports) lenses. With this service, the mount and key components inside your lenses can be replaced, adjusted and optimized for another camera mount. Since the introduction of this service, we have maintained the cost which was set originally to ensure the best possible customer support. This service requires not only a simple mount replacement, but also a detailed assessment of the individual lenses we receive from our customers. Due to the growing complexity of the conversion service and the increasing cost of required parts, we are having to revise the cost of our Mount Conversion Service. We appreciate your understanding and continued support for our company and products. The new SIGMA 70mm F2.8 DG MACRO | Art lens is designed to prioritize optical performance. In the standard to mid-telephoto range, it delivers stunning resolution and incredible clarity that greatly exceed expectations for a macro lens. Photography enthusiasts will recall a certain legendary, razor-sharp macro lens—the SIGMA MACRO 70mm F2.8 EX DG—and be glad to learn it is available in a new form, updated with outstanding Art line quality. Zero distortion. The ultimate 14-24mm wide-aperture zoom lens. 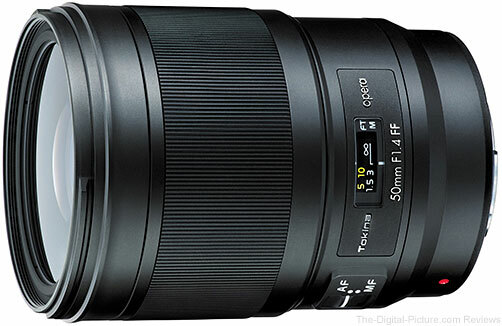 SIGMA is introducing the 14-24mm F2.8 DG HSM | Art as the ultimate ultra-wide-angle zoom. While minimizing distortion, this lens offers outstanding F2.8 brightness throughout the zoom range and delivers top-level image quality at every focal length and every shooting distance. For these reasons, it is the definitive wide-aperture ultra-wide-angle zoom lens. Since introducing its first SIGMA Global Vision F1.4 lens in 2012, the 35mm F1.4 DG HSM | Art, SIGMA has been adding wide-aperture F1.4 options to the lineup. SIGMA has designed all of these lenses to offer minimal optical aberration and deliver incredible resolution and stunning contrast. The SIGMA 105mm F1.4 DG HSM | Art has earned its place as the flagship of the F1.4 Art line lenses, prioritizing image quality above all to fulfill the promise of the line, delivering truly amazing optical performance. While offering the same high-performance optical design as other lenses in the Art line, the new Sony E-mount models will feature a newly developed control algorithm that optimizes the autofocus drive and maximizes the data transmission speed. In addition, these lenses will be compatible with Sony’s Continuous AF (AF-C) and high-speed autofocus, which are not addressed by MOUNT CONVERTER MC-11. B&H carries Sigma Global Vision lenses. The SIGMA Corporation is pleased to announce the release of its lens firmware version 2.00 for its SIGMA GLOBAL VISION (SGV) interchangeable lenses compatible with Canon digital cameras featuring Lens Aberration Correction. The three types of corrective functions available are for peripheral illumination, chromatic aberrations, and distortion. By updating their lens firmware to version 2.00, customers with compatible SGV interchangeable lenses for Canon cameras can perform aberration corrections that match the optical characteristics of their lenses. In addition, by turning Lens Aberration Correction on and before taking photographs, users can prevent certain image and operation errors from occurring. The following lenses will be compatible with Canon Lens Aberration Correction upon release. By connecting a SIGMA Art, Contemporary, or Sports lens with the SIGMA USB DOCK (sold separately) to a computer on which SIGMA Optimization Pro Software is installed, photographers can update the lens firmware. For further information, please visit the SIGMA website. For SIGMA lens owners who do not own the SIGMA USB DOCK, SIGMA performs lens firmware updates free of charge. B&H carries the Sigma USB dock and Global Vision lenses. 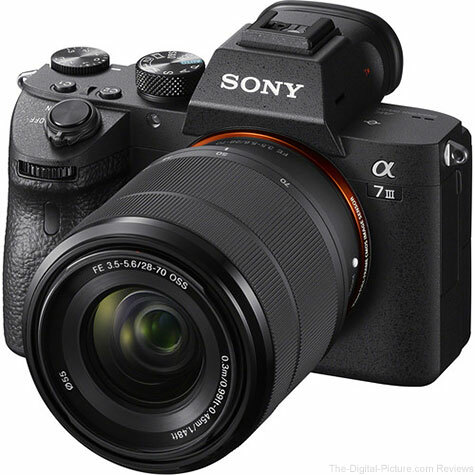 Sony today introduced yet another impressive addition to their full-frame mirrorless camera line-up, the a7 III (model ILCE-7M3). Sony’s unmatched innovation within the image sensor space is at the forefront of the new a7 III, as it features a brand new 24.2MPi back-illuminated Exmor R CMOS image sensor with increased sensitivity, outstanding resolution and an impressive 15 stopsii of dynamic range at low sensitivities. By combining this sensor with a variety of impressive features including extreme AF coverage of 93%, fast shooting at up to 10 fpsiii with either mechanical shutter or silent shootingiv, diverse 4Kvi video capabilities and more, Sony has created a new tool that gives all types of creators – from enthusiast to professional – the ability to capture content in new and different ways than they ever have before. The newly developed 24.2MPi back-illuminated Exmor R CMOS image sensor is paired with a front-end LSI that effectively doubles the readout speed of the image sensor, as well as an updated BIONZ X™ processing-engine that boosts processing speed by approximately 1.8 times compared to the a7 II. These powerful components work together to allow the camera to shoot at faster speeds while also enabling its impressive ISO range of 100 - 51200 (expandable to ISO 50 – 204800 for still images) and an overall 1.5-stop[ix] improvement in image quality. The camera also features a massive 15-stopii dynamic range at low sensitivity settings, ensuring outstanding overall performance at all settings and in all shooting conditions, with significant advancements in accurate colour reproductions of skin tones and the vibrant colours of nature. This new full-frame model can also output 14 bit RAW format[x] even in silent and continuous shooting modes, and is equipped with a 5-axis optical image stabilisation system that results in a 5.0 stepv shutter speed advantage. The innovative new a7 III full-frame mirrorless camera features a level of AF performance that has been largely improved over the a7 II, including the addition of 4D FOCUS™ capabilities. The new camera has 425 contrast AF points that work with a 693-point focal-plane phase-detection AF system inherited from the acclaimed a9 model. This innovative AF system covers approximately 93% of the frame, ensuring reliable focusing and tracking for even the most difficult to capture subjects. AF response and tracking has also been greatly improved in the new camera, with almost 2xix the focusing speed in low-light condition and 2xii the tracking speed compared to the previous model as a result of the faster image sensor readout. This allows complex and unpredictable motion to be captured with far greater precision and accuracy. The acclaimed Eye AF feature is also available in the new camera, even in AF-C mode, which is extremely useful for situations where the subject is turning around, looking down or otherwise obstructed. It also works when the a7 III is being used with Sony’s A-mount lenses with an optional LA-EA3 adaptor[xi]. Additional improvements in focusing flexibility include the addition of a multi-selector or ‘joystick’ for moving focusing points quickly, the addition of touch focusing capability, AF availability in Focus Magnifier mode, an ‘AF On’ button and much more. The new a7 III is equipped with an updated image processing system that allows it to shoot full resolution images at up to 10 fpsiii with continuous, accurate AF/AE tracking for up to 177 Standard JPEG images, 89 compressed RAW images or 40 uncompressed RAW images[xii]. This high speed mode is available with either a mechanical shutter or a completely silent shootingiv, adding to the immense flexibility of the camera. The camera can also shoot continuously at up to 8 fpsiii in live view mode with minimal lag in the viewfinder or LCD screen. For added convenience, while large groups of burst images are being written to the memory card, many of the cameras key functions are operable, including access to the ‘Fn’ (Function) and ‘Menu’ buttons, image playback and several other menus and parameters including image rating and other functions that facilitate on-location image sorting. Additionally, if there is fluorescent or artificial lighting present in a shooting environment, users can activate the Anti-flicker[xiii] function to allow the a7 III to automatically detect frequency of the lighting and time the shutter to minimise its effect on images being captured. This minimises any exposure or colour anomalies that can sometimes occur at the top and bottom of images shot at high shutter speeds. The new a7 III is an outstanding video camera as well, offering 4Kvi (3840x2160 pixels) video recording across the full width of the full-frame image sensor. In video mode, the camera uses full pixel readout without pixel binning to collect about 2.4x[xiv] the amount of data required for 4K movies, and then oversamples it to produce high quality 4K footage with exceptional detail and depth. An HLG (Hybrid Log-Gamma)[xv] picture profile is available on the a7 III as well, which supports an Instant HDR workflow, allowing HDR (HLG) compatible TV’s to playback beautiful, true-to-life 4K HDR imagery. Further, both S-Log2 and S-Log3 are available for increased colour grading flexibility, as well as Zebra functionality, Gamma Display assist and proxy recording. The camera can also record Full HD at 120 fps at up to 100 Mbpsvi, allowing footage to be reviewed and eventually edited into 4x or 5x slow motion video files in Full HD resolution with AF tracking. Sony’s newest full-frame camera is equipped with a variety of enhanced capabilities that were first implemented in the a9 and then again in the a7R III. These include dual media slots, with support in one slot for UHS-II type SD memory cards. Users have a variety of options for storing their content in each of the cards, including separate JPEG / RAW recording, separate still image / movie recording, relay recording and more. Battery life has been greatly extended as well – with a CIPA measurement of up to 710 shots per chargeviii, it offers the world’s longestvii battery life of any Mirrorless camera, as the new camera utilises Sony’s Z series battery NP-FZ100 that offers approximately 2.2 times the capacity of the W series battery NP-FW50 utilised in the a7 II. The new camera features “My Menu” functionality which allows up to 30 menu items to be registered for instant recall when needed. Users can also apply star ratings to their still images through the camera controls for easier image playback and review, and edit the first three characters of all still image files. Additionally, there is a total of 81 functions that are assignable to 11 custom buttons, and the camera is both dust and moisture resistant[xvi]. The a7 III features high-resolution, high-contrast, fast-start XGA OLED Tru-Finder™ with approximately 2.3 million dots for extremely accurate, true-to-life detail reproduction. “Standard” or “High” display quality settings are also available for both the viewfinder and monitor as well. It also is capable of seamlessly transferring files to a smartphone, tablet, computer or FTP server via Wi-Fi®, while also offering a SuperSpeed USB (USB 3.1 Gen 1) USB Type-C™ Terminal for increased flexibility in power supply and faster image transfer speed during tethered shooting. The a7 III model also comes with Sony’s new software suite “Imaging Edge”, which extends the creative capabilities of the entire shooting process – from pre-processing to post-processing. “Imaging Edge” provides three PC applications called ‘Remote’, ‘Viewer’ and ‘Edit’, available for free download, which support live-view PC remote shooting and RAW development. In the latest Version 1.1, several improvements have been implemented including about 10%[xvii] faster data transfer speed for remote shooting from PC (PC tether shooting) and approximately 65%[xviii] improvement in the response speed for RAW image editing. For more information, please visit Imaging Edge support page. www.sony.net/disoft/d/. The camera is also compatible with a wide variety of Sony E-mount accessories including the BC-QZ1 Battery Charger[xix], VG-C3EM Vertical Grip. The new a7 III will ship in Europe in March, 2018 priced at approximately €2300 (body only) or €2500 in a kit with the SEL2870 lens. B&H preorders for the Sony a7 III will begin Wed., February 28 at 11:00am Eastern Time.